At TQM Roofing Inc., our focus is on quality products and quality work. Because we own our own equipment, we can complete your roofing requirements in a timely and efficient manner. Our work at TQM Roofing Inc. is award-winning, and our builders are highly experienced with an average of 10-15 years of roofing experience. Join our team at TQM Roofing Inc. We are dedicated to properly maintainining any North Carolina business’ roof to help clients prevent costly roofing repairs. Rest assured, we pay attention to detail and actively communicate with you throughout your commercial roofing project in North Carolina. Our goal is to provide you with quality commercial roofing repairs focused on your North Carolina company’s specific needs. 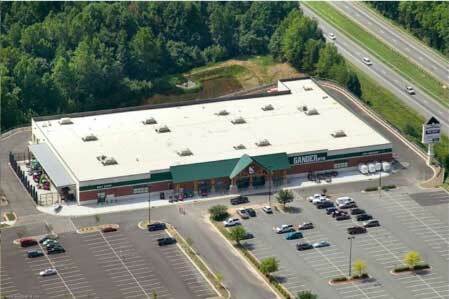 Commercial roofing maintenance in North Carolina offers many different benefits. 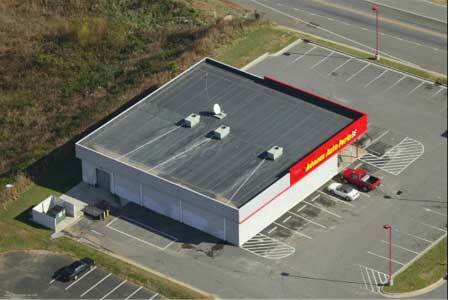 TQM Roofing offers commercial roofing installation, repairs, and maintenance in North Carolina. From new construction roofing to roof repair and maintenance, we have your commercial roofing needs covered. At Total Quality Methods Roofing Inc., our name says it all. When we work on a commercial property roof in North Carolina, we practice the methods designed to ensure the longevity and quality of the roof. We have been in business since 1996 and are known for our quality, client-oriented roofing installation, maintenance, and repair services. Regardless of the type of commercial property you own, we are confident we can meet your roofing needs. 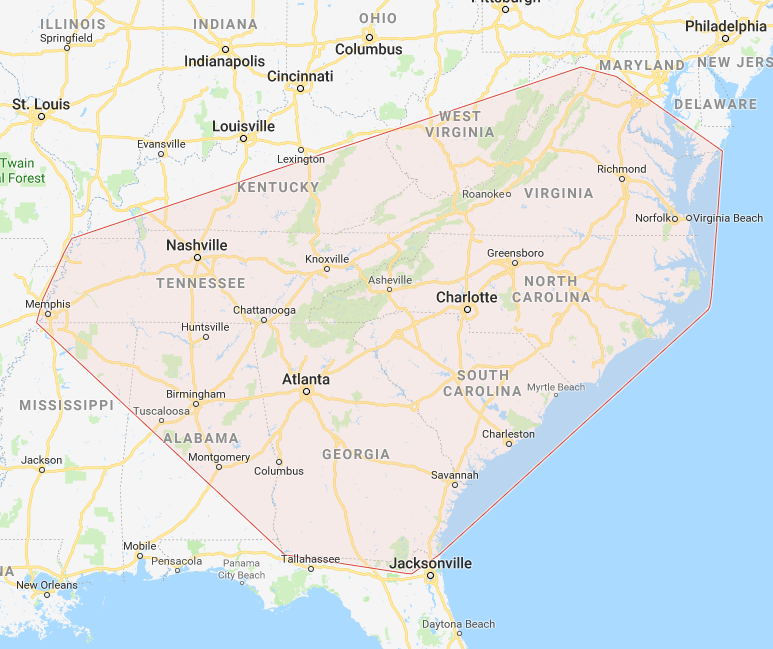 In the past, we have installed and repaired the roofs on grocery stores, retail stores and shops, pharmacies, restaurants, thrift stores, medical centers, banks, schools, gas stations, and many, many more locations throughout North Carolina. To ensure satisfaction and efficiency on your roofing project, we use our own equipment and maintain a highly experienced team of roofing professionals. On our roofing projects, the team lead has 10 to 15 years of experience in the roofing industry. We have received many industry awards for our work and are committed to continually providing quality roofing services. Whether you turn to us to install a roof on your business’ or to repair your office’s roof, rest assured we will do the job right the first time. If you have any questions about our services or the products we use, please contact us at TQM Roofing Inc. We proudly serve all of North Carolina, South Carolina, West Virginia, Tennessee, Virginia, and Georgia and look forward to serving your company’s roofing needs for many years to come. At TQM Roofing Inc., we provide roofing installation, maintenance, and repair services to businesses in North Carolina. 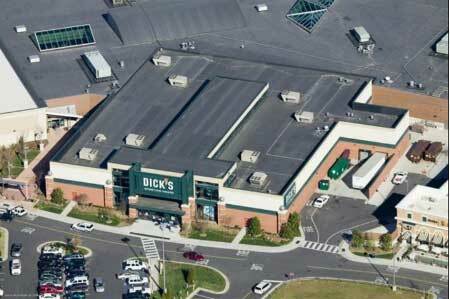 When it comes to commercial roofing installation, you can trust us to do the job right. During the re-roofing process, we will make sure your company’s new roof seamlessly complements the look and feel of your building’s existing structures. At TQM Roofing Inc., we have served North Carolina since 1996, so you can rest assured your new construction roofing project will be handled successfully from start to finish. Our retail roof installation services are complemented by experienced, qualified roofers who are committed to excellent customer service.